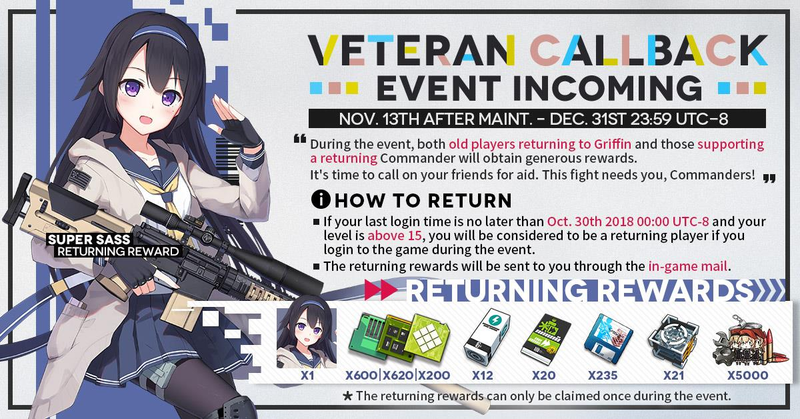 Starting after the Nov. 13th maintenance until the end of the year, Girls’ Frontline is having a Veteran Callback event! 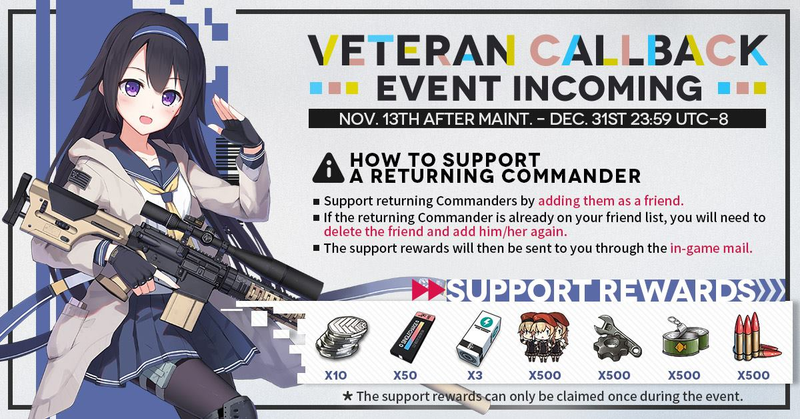 If you are adding returning players as a friend, you can receive the rewards posted in the above image. You can only redeem the rewards once! If you’re a returning player, the better the rewards! Return to us and share the love of giving during the holiday season! New Doll Batch Release on 26th of February! Preliminary Doll Overview! Nov. 20th Update: BB x GG Collaboration Event!